Great grams made a run for it and started telling hotel guests that my grandma was trying to kill her! I first learned about Max Wallack on December 23, 2009.
Who was this 13 year old who was named a 2009 Build-A-Bear Huggable Hero; and, donated his entire $2500 reward to the Boston University Alzheimer's Disease Research Center? I did some research and then wrote - Who is Max Wallack? I figured I would hear from Max in a day or two. He didn't disappoint me. 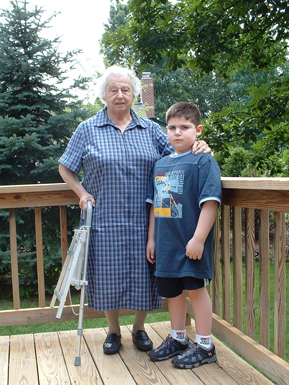 I asked Max to write about his "Great Grams" who lived with Alzheimer's. He did for the first time on January 6, 2010 here on the Alzheimer's Reading Room -- Traveling with Great Grams Who Had Alzheimer's -- Hawaii. This was the first of many wonderful articles about Great Grams. When we all went back to our rooms in the early evening, great grams made a run for it and started telling random hotel guests in the hallway that my grandma was trying to kill her! I think Max was 10 years old at the time. 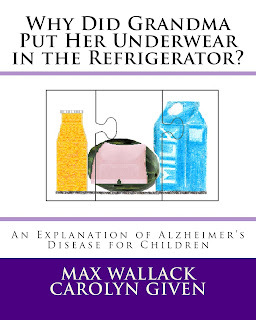 Today there is a wonderful article about Max on the CNN Health pages that I wanted to bring to your attention - Great Grams inspires teen to hunt for Alzheimer's cure. Have you read Max's book for children? If not you should. Or, consider purchasing a copy for your local library or school guidance counseler.